With comfort and stability, these Reebok Men's RB1067 Black Met Guard Waterproof Composite Toe Mid Beamer Boots will provide your feet with a unique, cozy fit and explosive performance. 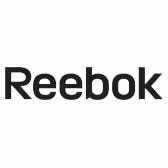 Reebok FootFuel technology within the men's boots will give you just the right ... (see full details) (see specifications) #RBKRB1067. With comfort and stability, these Reebok Men's RB1067 Black Met Guard Waterproof Composite Toe Mid Beamer Boots will provide your feet with a unique, cozy fit and explosive performance. Reebok FootFuel technology within the men's boots will give you just the right amount of cushioning, and the footbed technology has been engineered to deliver high levels of control, comfort, and energy return. Developed for high performance footwear, FootFuel responds to impacts. It'll absorb shocks and support your feet where you need it most. As you just start to take a step in these Reebok boots, the FootFuel polymers expand to help move your feet forward. It retains its cushioning and rebound properties for the life of the black boots, so you can count on them for the long haul. The safety toe boots feature extra-wide composite toe caps to guard your toes from impacts and compression. These are lightweight safety toes, lighter than steel, but they're just as strong. Since they're non-metallic, getting through airport security will be a whole lot easier for you! There are also met guards to protect your delicate metatarsal bones on the tops of your feet, and these meet the ASTM F2413 safety standard. Flex-Met makes sure you have the flexibility you need to go about your day. The black boots also have an electrical hazard rating, which means you'll be guarded around open circuits. The outsoles are made out of materials that'll absorb some shocks so that your body doesn't have to. For even more protection yet, the met guard boots are also waterproof! Get the safety toe footwear you need with all of the cushioning comfort you'd prefer. Soon you'll be able to have the support of these Reebok Men's RB1067 Black Met Guard Composite Toe Waterproof Boots - just order yours today from Working Person's Store! Very comfortable to wear, but I have had to learn how to walk in them with the met guards as they are stiffer then a normal shoe. I was also suprise at how cool they stayed after walking around in them for 10 hours. They were comfortable at first, started splitting after 4 months, 8 months in and I cant even wear them. Probably the worst pair of boots I've ever bought over 100 dollars. Would not recommend to any mechanic. I bought these in a store for 180, after 8 months of use the seams around the toe have come undone and let water in. Considering the price, they wear too fast. Other than that I would've given 5 stars. Very comfortable. Reebok Boots: Men's RB1067 Black Met Guard Waterproof Composite Toe Boots is being added to your cart.